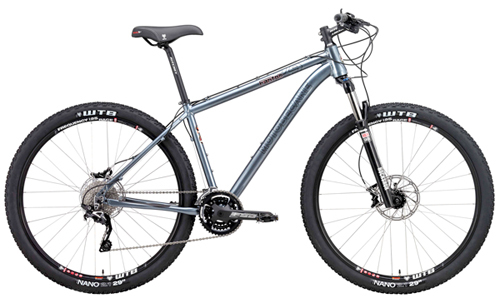 Plus get powerful control with powerful Hydraulic Disc Brakes and Rockshox Lockout front forks. U.L. "I couldn't believe how much better they really were...control...nothing short of phenomenal." T. O. "100% reliable for the 2.5 months I've been using them. Zero complaints"
Pete R. "Power is there in spades when you need it, but it was the modulation that I noticed"
Get Tubeless tech rims now. Tubeless wheelsets of this caliber with Precision bearings and s are sold by themselves are normally around $500 to 800+ So this is an incredible deal: You are getting a complete Shimano 29er with a pro-quality TCS Rim wheelset. Get amazing technology, now! Shimano's next-generation Dyna-Sys drivetrain brings with it the legendary quality, durability and performance Shimano is known for, all packaged to meet the ever-evolving demands of today’s riders. Dyna-Sys brings together the rider, the bike and the trail. Intuitive gear combinations account for how riders deliver power through the drivetrain; optimized 32-tooth Primary Driving Gear even the roughest, rockiest, muddiest trails can’t shake Shimano’s most stable off-road drivetrain to date. Dyna-Sys is a comprehensive redesign made up of a multitude of thoughtful details, features and revisions that together add up to a world beating, trail conquering ride. The 30 Speed 2018 Fantom29 Comp is specified with competition-ready components and has geometry based on the FLY Team XC Race Bike of the Year. 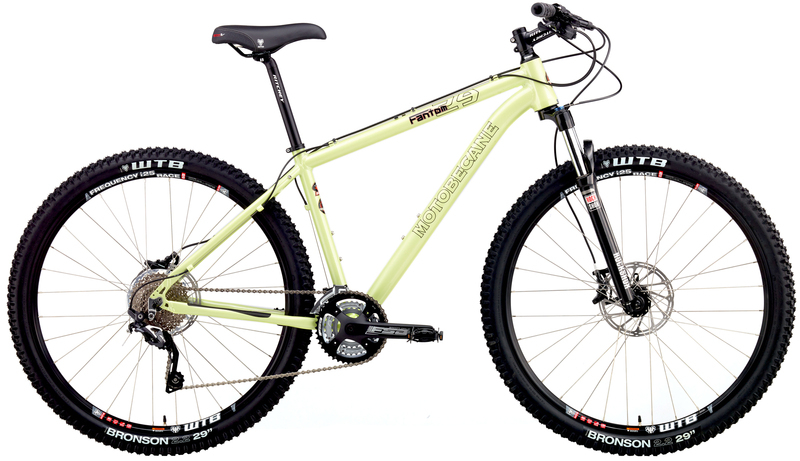 Please compare this bike directly against any other manufacturers $2,200+ 29er hardtail on the market. Their bikes are heavier or not as well equipped. with long travel RockShox WITH External preload and Remote lockout. The Fantom29 Comp adds to those race winning specs; a FSA crank and sealed BB, Sealed bearing headset, sweet shifting Shimano DynaSys derailleurs with WTB TCS Disc Wheelset and truly amazing Hydraulic Disc Brake system. What do these 2018 Fantom29 Comp 29er mountain bikes compare to? Compare to Specialized, Trek or Giant 29ers. 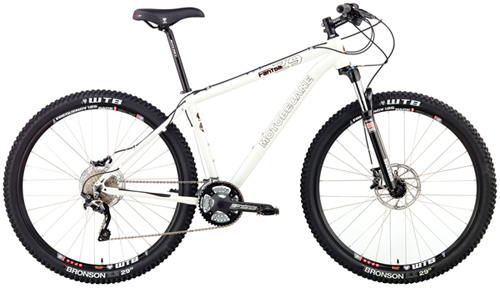 The Fantom29 Comp = higher level Rockshox Lockout forks plus Hydraulic disc brakes for ~$100 less. PLUS - none of those brands have WTB TCS Tubeless Compatible wheelsets. These 2018's are shipping NOW. Get yours before they are all gone!